Did you know that volleyball is created by a combination of the sports tennis, basketball and baseball? In 1985, the game was introduced in America and years later it is still a very popular sport. Nets and Netting Specialist J. van Dijk and Sons makes high-quality volleyball nets. Both for indoor and outdoor use. 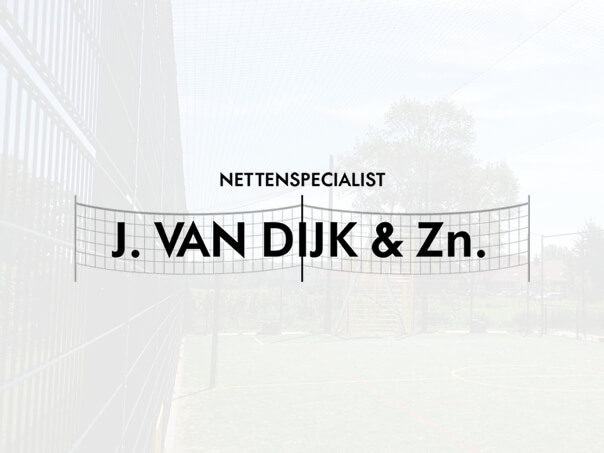 Nets and Netting Specialist J. van Dijk and Sons makes volleyball nets with a recreational purpose, but also for professional purposes you are at the right address. The volleyball nets are made of high quality materials and can be made in any size. Do you love a game of recreational beach volleyball? In the campsite or in your garden? Or are you a professional beach volleyball player and looking for a good quality net? Nets and Netting Specialist J. van Dijk and Sons has volleyball nets of good quality and UV stabilized. Below you find the most common sizes, but ask about the possibilities since we also make tailored volleyball nets.